>> How Long Does It Take for Eyelashes to Grow Back? Eyelashes are a necessary part of the eye. They keep dust and other particles from falling into your eyes, and they make your eyes pop with beauty as well. However, it's possible that you might be lacking your eyelashes after a sickness or maybe even an incident. Knowing how to grow them back and how long it takes isn't as difficult as it may seem. Do Eyelashes Fall Out Regularly? Though it might seem strange, the answer is yes. Your eyelashes do fall out on a regular basis. Typically, a normal growth cycle for eyelashes comes after others fall out. 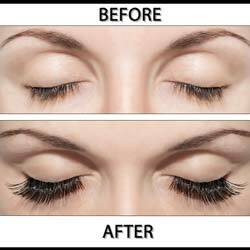 Eyelashes work a bit like your hair, and they fall out and re-grow on a regular basis. However, if you begin to notice your eyelashes falling out more rapidly than before, Health Line suggests that you see your doctor determine if you have any underlying issues that might be causing the loss. This is falling out of your eyelashes could also be accompanied by hair loss if a health condition is a cause. Knowing what to look for when you begin to notice eyelash loss is a great way to ensure the health of your lashes. Yes, they fall out regularly, but regrowth usually takes place shortly after the loss of a lash. Can You Grow Eyelashes Back? If you find that your eyelashes are not growing back on their on, you might want to take a trip to your doctor. Talk to your medical professional about the issue. If no further health conditions are the cause, then you might be forced to take measures into your hands. It is possible to﻿﻿ ﻿﻿grow back your eyelashes, though. You can start by eating a well-balanced diet, one that includes vegetables, whole grains, proteins, and fruits. A good diet will ensure that you have healthy hair all over your body, including your eyelashes. There are also topical treatments that you can place on your lashes or lash lines to support healthy growth. Doctors can prescribe these treatments. You can also take supplements that support healthy hair growth. They could help boost your lash grown as well. Livestrong gives great advice for those who are wanting to grow back their lashes. Do Eyelashes Grow Back on Their Own? As it was mentioned before, eyelashes do grow back on their own. Of course, unlike hair, it can be difficult to tell if your lashes are resisting growth until it is too late. By watching the number of lashes that fall out, you can keep a watch on your health to ensure nothing is amiss. Leaf highlights the importance of eyelashes, but they also give great insight into the natural growth of eyelashes. Just like hair, eyelashes have a follicle that lies under the skin. This is where your eyelashes grow from. The follicle can be compromised, however, which can prevent your eyelashes from growing back naturally. Another way to ensure healthy eyelashes is to remove any makeup, especially mascara, before bed each night. This cleansing ensures that your eyelash follicles remain clean and free of any irritants. Check out this YouTube video about growing your eyelashes naturally. How Long Does It Take for Them to Grow Back? Natural eyelash growth is possible, but it is also extremely slow. 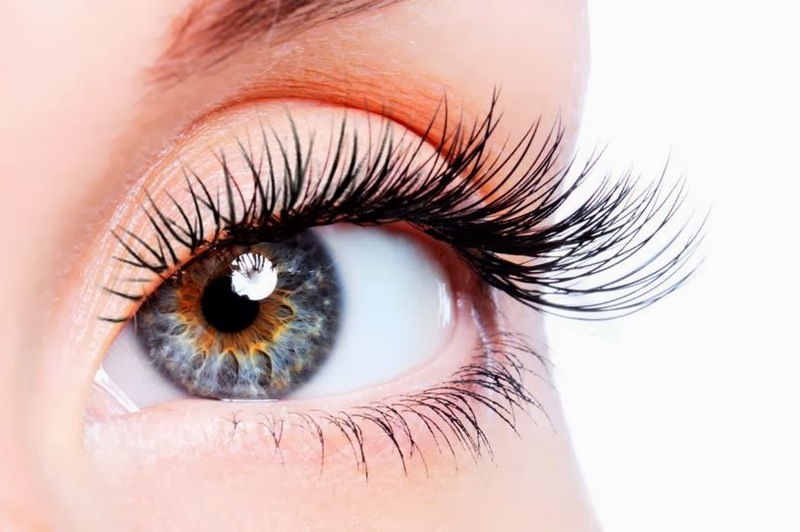 The average person experiences eyelash regrowth every 1 to 2 months. This time is also for full regrowth. It can seem like an extremely long time, but eyelashes are delicate and take longer to regrow fully than any other hair on your body. It isn't much you can do to speed up the regrowth process though. According to Zodoc, eyelash regrowth aids should be administered by a physician after doing a physical examination of the lashes. 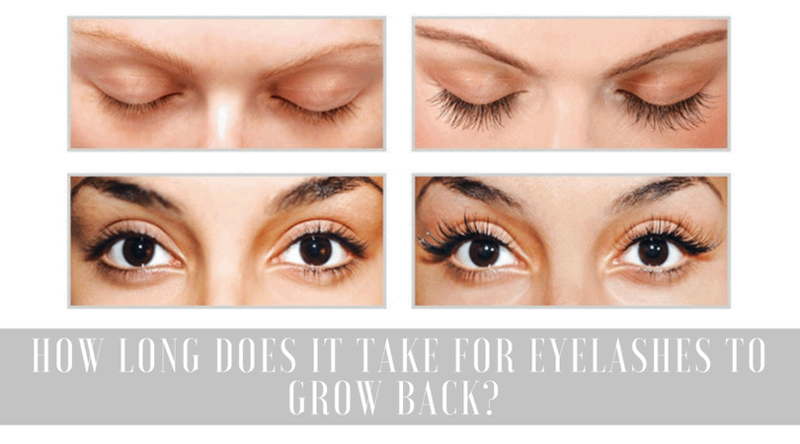 Knowing how long it takes to regrow your lashes is important to understanding the health of your eyelashes as well. There's no need to panic if they haven't started showing regrowth after a few weeks. What Else Can You Learn About Your Lashes? There are a few things you should know about eyelashes as well. Eyelash loss can be caused by some things including a few autoimmune diseases, thyroid problems, and skin issues. Allergies to makeup or any beauty product can also aid in the loss of eyelashes, which are so dear. There are three phases to eyelash regrowth. These phases take place over a long period to ensure that you have healthy eyelashes, and it takes place over 100 days for full eyelash loss replacement. 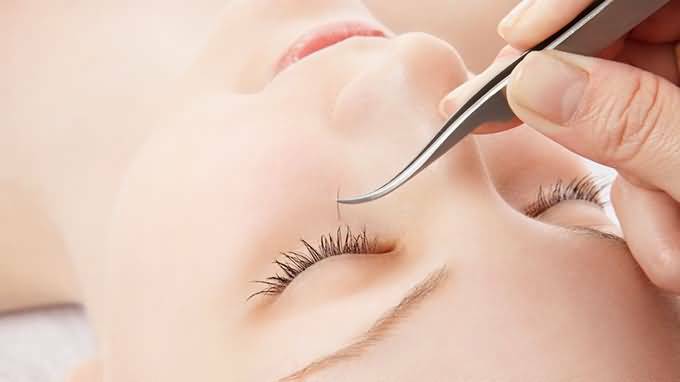 Eyelashes also will grow back after being pulled out, cut, pulled from the root, or after lash extensions. Your lashes can regrow after a burn if the extent of the burn has not damaged the follicles. You can even speed up your growth by doing some things, but you should always check with your physician before any treatments.